Every Monday, Tuesday and Thursday, the girl has ballet lessons and as and when possible, I'll take the boy out with me when I send her for her class so that I can spend some one-on-one time with him. Last Thursday was no exception. I was running out of ideas on where to go when I remembered that a friend had pointed out the DC Comics SuperHeros' exhibit at the Singapore Philatelic Museum to me. 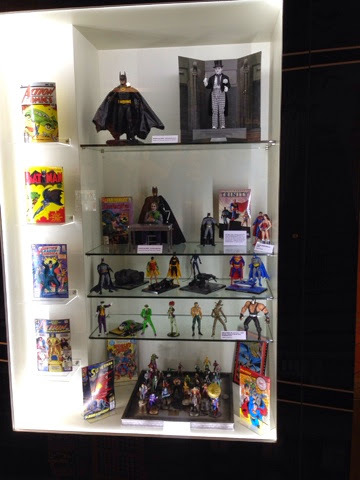 Since we were not too far away, I decided to head over to the museum in Coleman Street. 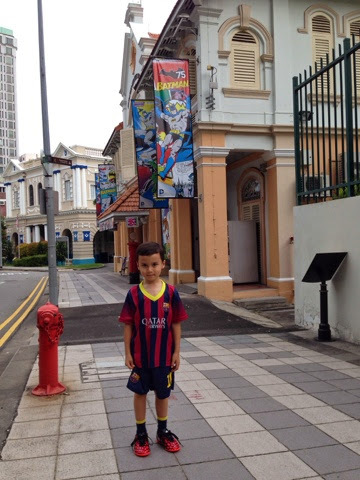 The place is easy to find and parking can be found just next to the Peranakan Museum (which is another interesting museum to visit for both tourist and locals) or further up the road on Fort Canning. So here we are, right by the museum. 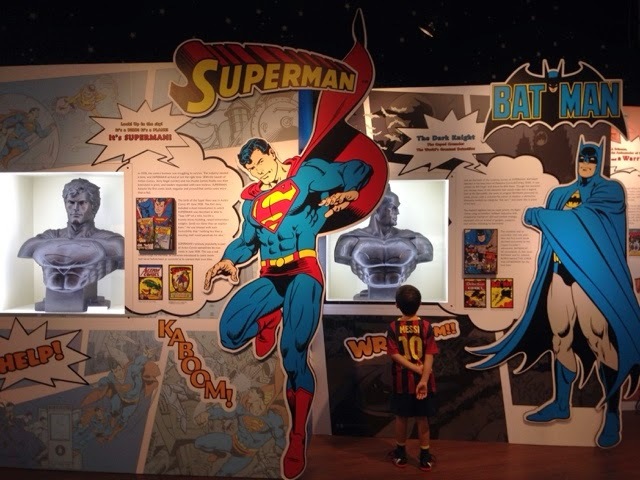 When we entered the museum, I realised that entry is free for Singaporeans! YAY! What a nice surprise! 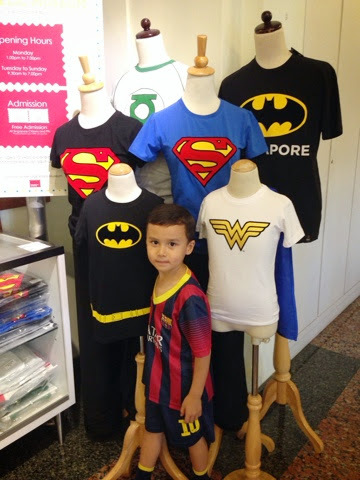 Since it is a DC Comics SuperHero Exhibit going on, some SuperHero apparels were also on sale. I was a little disappointed that the exhibition room for the DC Hero was rather small, but for the little boy, it was enough to keep him entertained and interested. 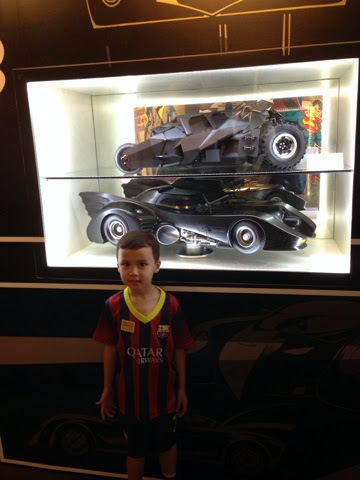 His favourite part of the exhibits, the Bat Mobiles. 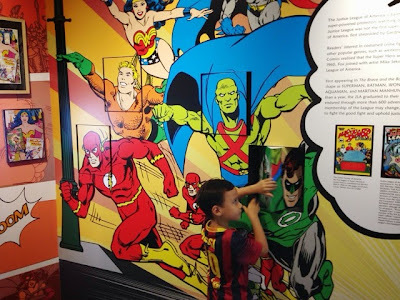 Learning a little more about the superheros and their names. The exhibit area was kind of small, just the size of a room. There are other exhibits to look at as well but all in all, we spent about 30 to 40 mins there. It was great timing since the girl's ballet is an hour so we managed to go grab a quick snack before heading back to pick her up. 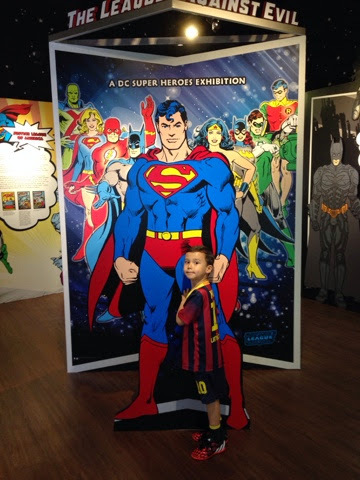 The exhibit is on until 30 November 2014 so if your child is a fan of the Super Heros, definitely check out the museum.